After being long overdue for an update to new CPUs, last week Apple announced refreshed 2018 MacBook Pros with 8th-gen Coffee Lake chips from Intel, including the company’s top-of-the-line consumer laptop processor, the six-core 2.9GHz Core i9-8950HK CPU. And in theory, this option seemed like a great addition to the MBP lineup by giving high-level video editors and graphics artists a little extra performance without any added bulk. But then reports starting coming in from various sources including YouTuber Dave Lee and AppleInsider claiming that performance of Apple’s new Core i9 MacBook Pro wasn’t actually all that great, and in some situations, performed worse than last year’s Core i7 MBP despite having a much higher starting price of $2,800. The problem, it seems, is that Apple simply dropped Intel’s Core i9-CPU into the existing 15-inch MacBook Pro chassis, but didn’t do much to improve the system’s cooling or thermal management. So that means when people asked to peform more intensive tasks, heat quickly builds up inside a Core i9 MBP, and before long, it’s forced to throttle the CPU to prevent the system from overheating, which negatively impacts overall performance. Meanwhile, although AppleInsider’s results weren’t quite as drastic, they found that after 10 consecutive runs in Cinebench, the average score for a base 2018 MacBook Pro with a Core i7 CPU was 916, while the more expensive Core i9 MBP averaged just 906. Furthermore, when AppleInsider looked at the actual clock speeds of the two systems, they saw very little difference between the two CPUs, despite both chips featuring the same 45-watt TDP, or thermal design power, and the Core i9 having a significantly higher base frequency of 2.9GHz and a max turbo frequency of 4.8GHz as compared to an 8th-gen i7's base speed of 2.2 GHz and the turbo frequency of 4.1 GHz. “Processors like the Intel Core i9 are all manufactured with maximum power and heat limitations to maintain a specific frequency. OEMs, like Apple, create thermal solutions for their systems, in this case the MacBook Pro, to remove enough heat so the processor can run at its intended frequency. BIOS settings determine when the cooling kicks on, its intensity, and for how long. That last part stands to reason, because while a lot of laptops with i7 chips sport thin and light bodies, notebooks sporting i9 CPU’s tend to look more like MSI’s beastly GT75, which features a much larger case and more substantial fans in order to help cut down on throttling. This beast is nearly an inch and a half thicker, partly to keep the hot i9 cool. There’s only a handful of devices currently available with an i9 CPU, which was only announced in April. The Dell XPS 15, which is of similar dimensions to the Apple MacBook Pro, also has an i9 option, and there have been sparse reports of throttling suspicions for it as well. We’ve reached out to Dell for comment. When we reached out to Apple and Intel for a comment regarding performance of the Core i9 MacBook Pro, Intel replied with a statement saying “Customer feedback is very important to us and we are working closely with our OEM partners to investigate. We will share more information when it is available.” We have yet to get a response from Apple and will update should we receive one. So for people considering buying a new high-spec MacBook now that the 2018 models are out, unless something changes, you’re probably better off ignoring the Core i9 option for now. 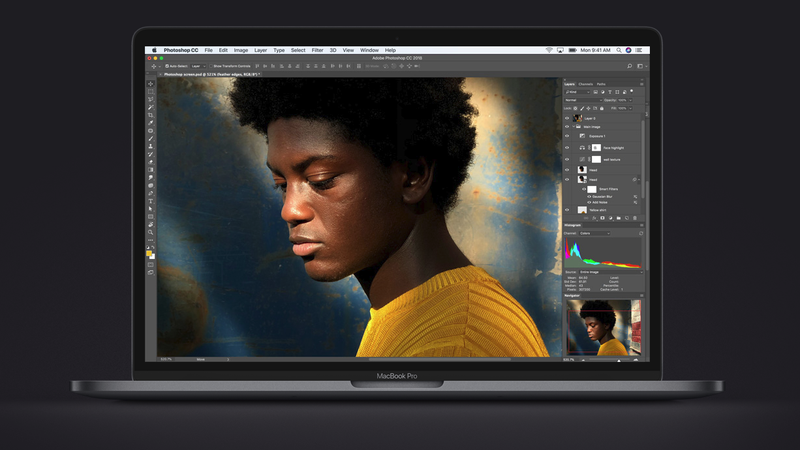 Not only is a 15-inch Core i7 MacBook Pro just as fast, it costs hundreds less too. Do you know something about the problem Apple and Intel appear to be facing? You can reach me at sam.rutherford@gizmodo.com or contact Gizmodo securely via our SecureDrop.